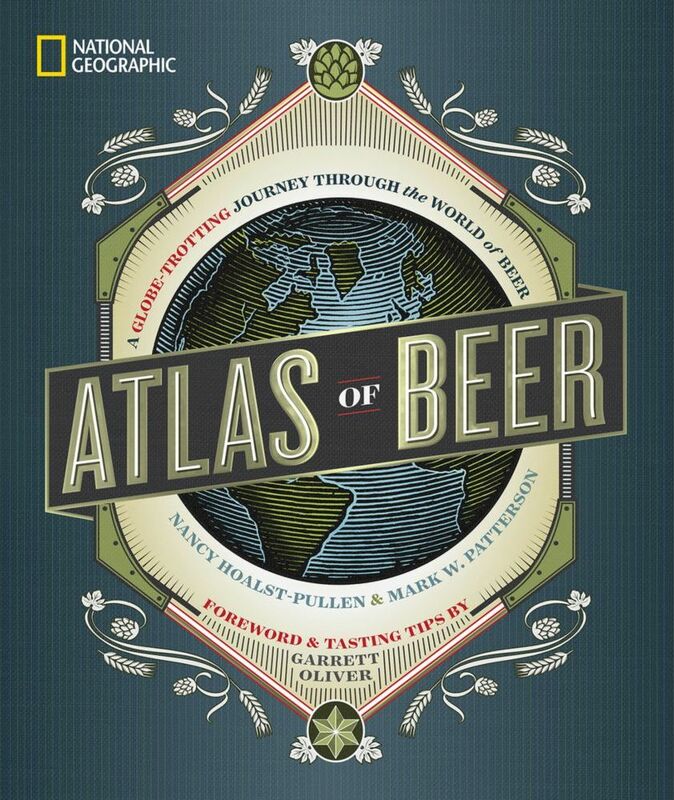 Christmas has come early for beer travelers in the form of National Geographic’s Atlas of Beer. 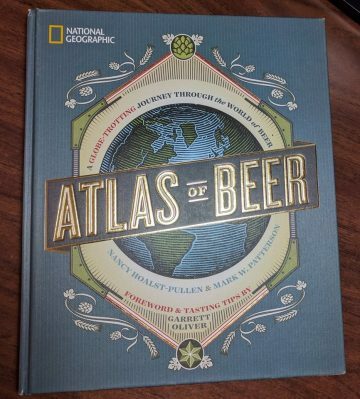 Make sure your passport is in order before you crack this book, as it’s Ph.D authors explore beer in a way only National Geographic can. 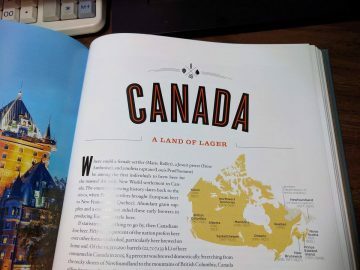 This book will ignite your love of the strange, local oddities of beer around the world, whether it be Curitiba’s Bodebrown Wee Heavy, Osaka’s Yuzu Ale, South Africa’s “original craft beer” Umqombothi, Tanzania’s banana beer Mbege, or even Atacama’s fog beer. 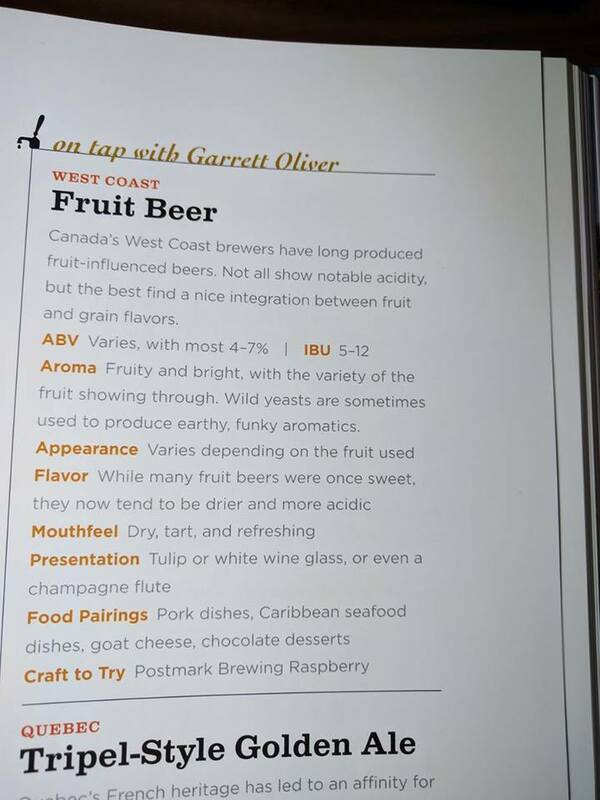 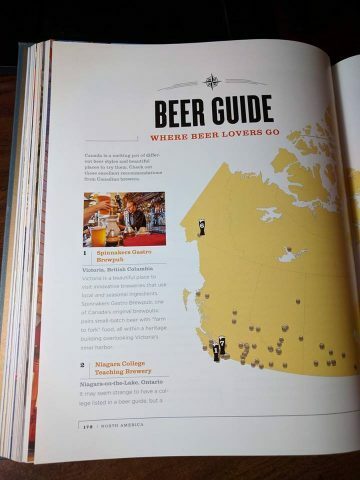 If you’re concerned how this book will fit on the shelf alongside other similar guide books, such as 2012’s World Atlas of Beer, rest easy. 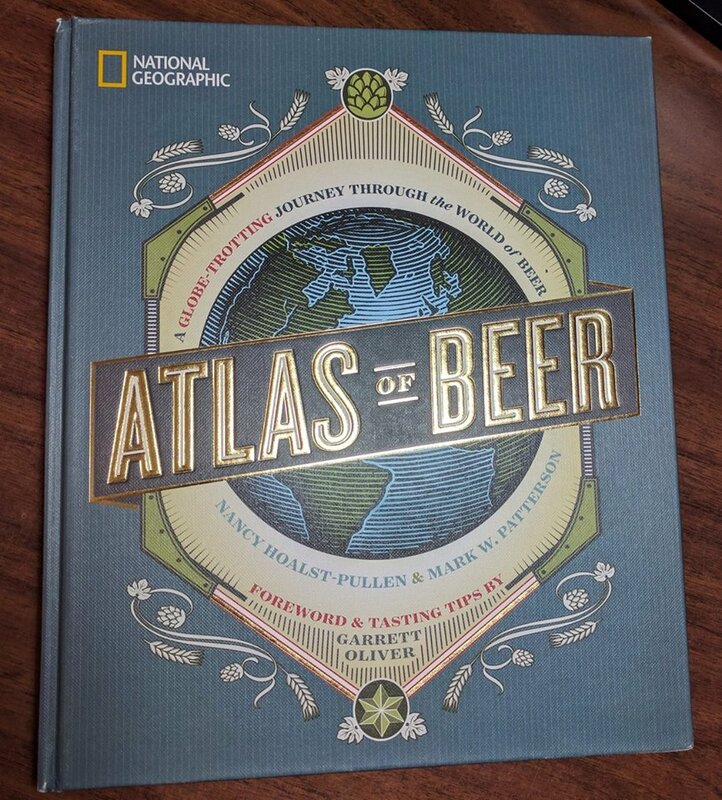 Atlas of Beer will comfortably find a place on your bookshelf with your other beer books by taking a slightly different approach, as one would expect from National Geographic. 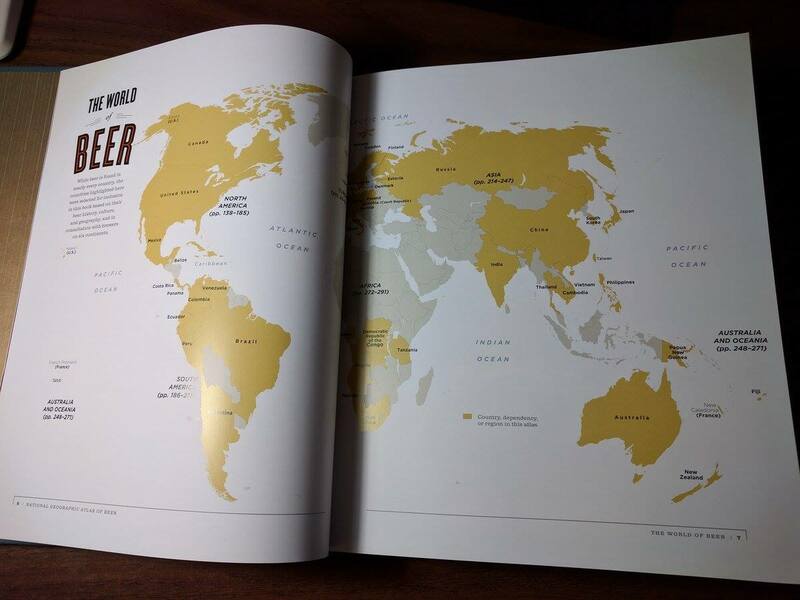 Shying away from overly specific recommendations of beers and breweries, Atlas of Beer focuses on beer terroir, such as local water, hops, yeast and cereal grains, and how this has affected localised beer culture around the world. 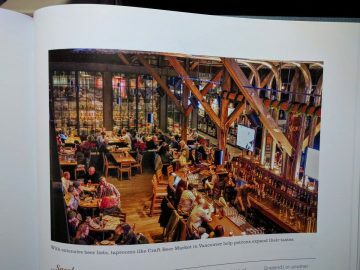 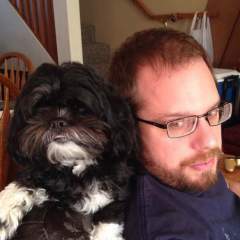 The authors focus on how “distinct differences and idiosyncrasies” of local beer culture become “a reflection of place”. Just as an example, has any other beer book looked into New England’s love of Ringwood Yeast? 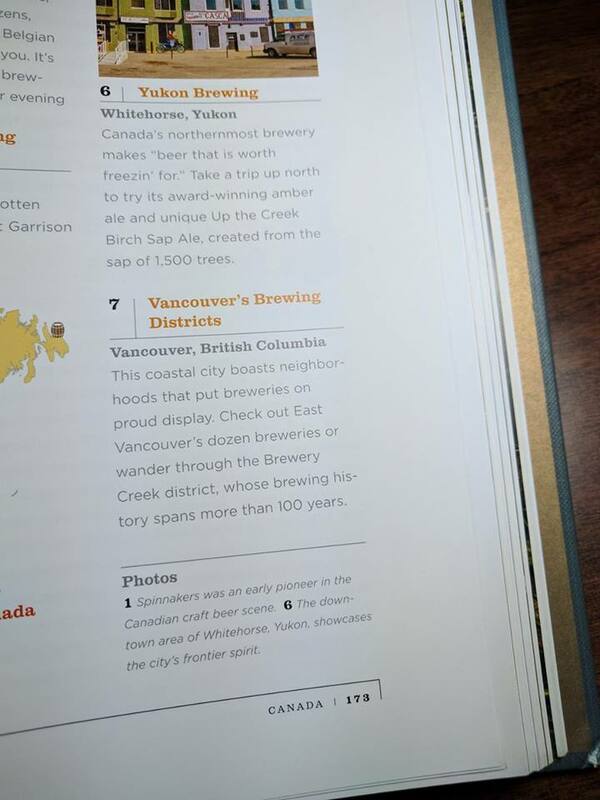 This is the kind of historical insight that is peppered throughout the book. National Geographic’s Atlas of Beer will help break you out of your IPA rut, or whatever form your beer rut might take, and have you rediscover the joys of trying strange and diverse new beers. 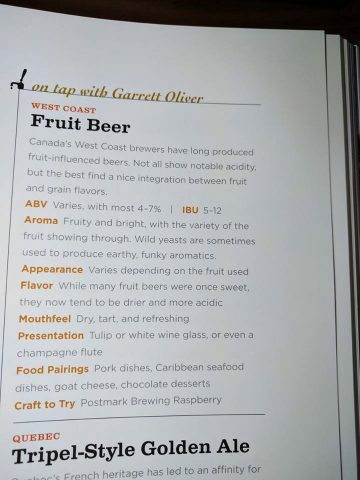 It will help readers understand how these unique and sometimes bizarre beers and customs came to be. On top of that it will help you order beer in foreign languages and also give you more historical insight than most of the locals. Big and impressive, this book, although too large for most carry-on luggage, will have you trivago-ing flights by the end of the first pint.